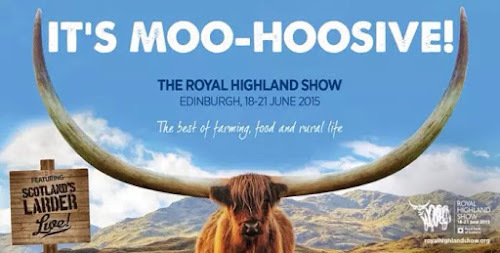 Not long now until the doors open on what is being billed as a moo-hoosive Royal Highland Show! Now in its 175th year, the Royal Highland Show organisers have rebranded the show’s food hall as Scotland’s Larder Live as part of Scotland’s Year of Food and Drink. The food hall has always been hugely popular with visitors and this year the focus on food and drink is expected to reach fever pitch. Over the last few years I have been lucky enough to attend The Show and meet some of the wonderful producers who used the event as a springboard to launch their products or help raise their public profile and awareness. Some of those businesses who will be back at the show have previously taken time out to have their own story told by answering 5 Questions. Have a read through the stories below and if you're at the Royal Highland Show this weekend you might get the chance to say hello to the men and women behind the brands. Berry Good, run by Jill Brown, produce a range of award winning fruit infused spirits. Coole Swan produce an amazing cream liqueur from Irish whisky and Belgian white chocolate. Trotters Independent Condiments produce a wide range of unusual and interesting chutneys and relishes. 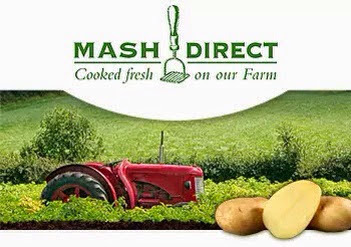 Mash Direct produce a massive range of award winning ready to cook meals made exclusively from the vegetable that grow on their own farm. 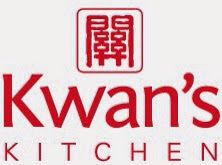 Kwan's Kitchen, run by the Stephen Kwan, produce a range of authentic Chinese condiment and stir fry meal kits. Galloway Chillies, run by Sheena Horner, produce a fantastic range of chutneys and relishes from chillies they grow themselves combined with locally sourced raw ingredients. This is just a snapshot of the producers who will be on show but if you do visit the Royal Highland Show, you won't go wrong by taking time to visit each of the producer stands mentioned above. If you happen to be a producer and would like your own story to be told then get in touch and you can answer your own 5 Questions.